Obviously you ring in the New Year by getting your drank on. Champagne is a necessity for when the clock strikes 12, so you best stock up. Sure, a good ole glass of bubbly is classy as it comes, but as they always say: out with the old and in with the new. Because Champagne is expensive, we turned to the more budget-friendly Prosecco (#college) but feel free to substitute whatever bubbles you have. This festive take on the classic Jell-O shot will make you feel oh-so-fancy while drinking (or should I say eating) bubbly all night long. 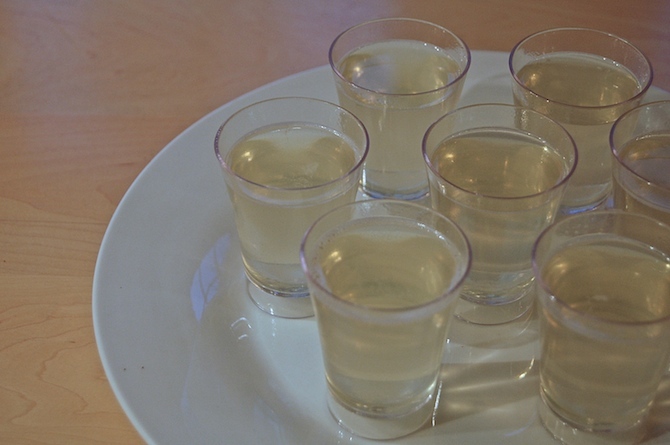 In a medium saucepan, combine the champagne or sparkling wine and gelatin over medium heat. 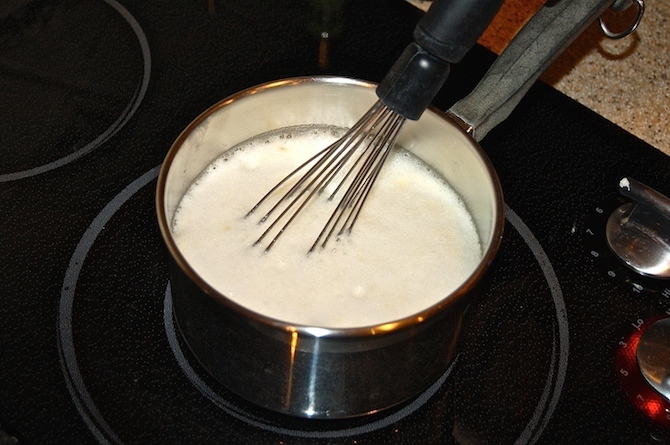 Whisk for 2-3 minutes, until the gelatin is completely dissolved. 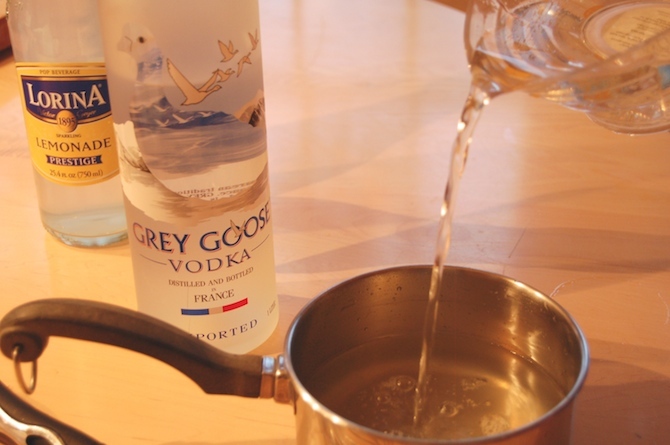 Add vodka and whisk to combine. Wanna step it up a notch? Try Whipped Cream Vodka. 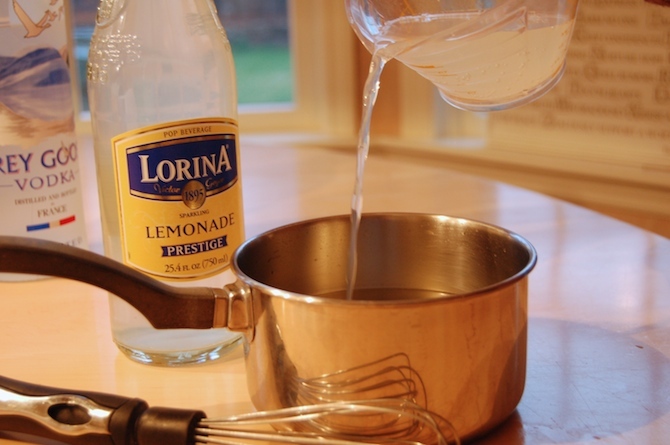 Pour the sparkling lemonade into your mixture and whisk to combine. Pour the mixture into lightly greased plastic shot glasses. 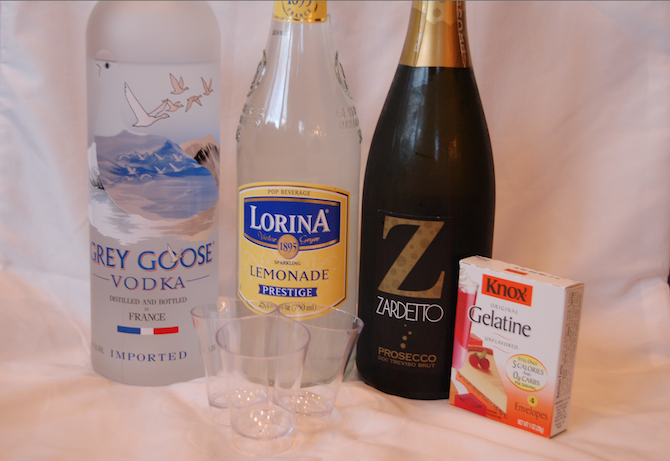 #SpoonTip: If you don’t have plastic shot glasses, mini-muffin tins work too. Refrigerate for 3-4 hours or until completely set. Serve chilled to get all your friends talking and celebrate the New Year in style.